I love the lipgloss by MAC called “LipGlass”. It’s smooth and stays on for over an hour. On a whim, I tried a sample of MAC “LipGlass” in clear while shopping last week. Then, I thought I would try the dollar store brand before plunking down the $15 for MAC. 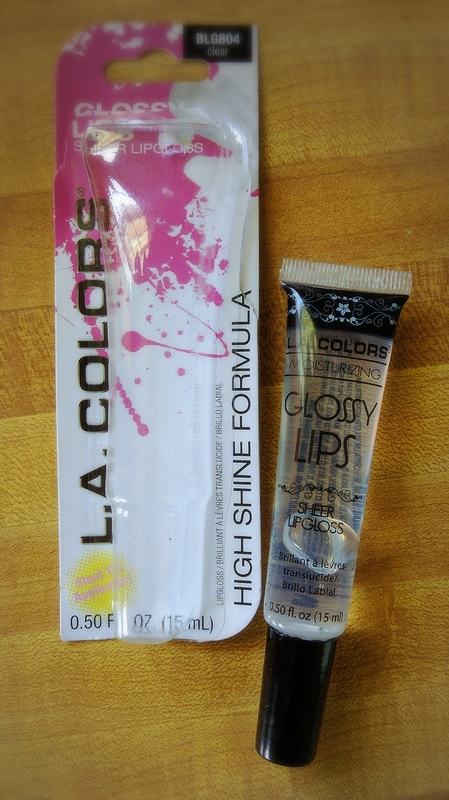 I LOVE this LA gloss for $1 and cannot tell a difference from the MAC brand. My lips have not been in such good shape since I was a baby-smooth, unchapped. Lip eczema, people, it’s not pretty. I can wear lipstick properly for the first time ever without it looking like Plate Tectonics in fuchsia. Available at Family Dollar and Dollar tree.